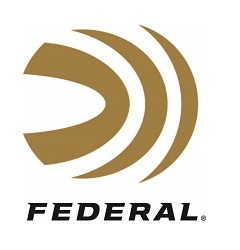 ANOKA, Minnesota - January 4, 2019 - Federal will launch more than two dozen new products within several lines during the 2019 SHOT Show (Booth No. 14551), January 22-25 at the Sands Expo Center in Las Vegas, Nevada. HST 10MM AUTO: Full-power, 1135 fps 10mm Auto load offers a 200-grain hollow point bullet that expands reliably through a variety of common barriers. HYDRA-SHOK DEEP: Now also available in 40 S&W and 45 Auto loads that penetrate 15 inches in bare ballistics gel—the optimal depth according to FBI standards. BARNES TSX: Barnes Triple-Shock X is back. The all-copper hollow point groups tightly at long range and delivers consistent expansion. Available in 17 loads from 223 Rem. to 300 Win. Magnum. BERGER HYBRID HUNTER: A hybrid tangent-secant ogive provides a high ballistic coefficient and superior accuracy across a wide range of firearms. Lethal and reliable on medium and big game. Available in 10 calibers from 243 Win. to 300 WSM. EDGE TLR: 6.5 Creedmoor and 280 Ackley Improved loads provide match-grade accuracy in a bonded hunting bullet. Extremely high ballistic coefficients, Slipstream tip and AccuChannel grooving. TROPHY COPPER: 223 Rem. and 338 Lapua Magnum offerings. Copper-alloy construction provides up to 99 percent weight retention, and the polymer tip and boat-tail increase the ballistic coefficient. GOLD MEDAL BERGER: 224 Valkyrie, 300 Win Mag and 300 Norma Magnum Berger Hybrid loads. High ballistic coefficients and Gold Medal match primer. GOLD MEDAL SIERRA MATCHKING: New 6mm Creedmoor offering. World-class long-range accuracy with high ballistic coefficients that decrease wind drift and drop. HEAVYWEIGHT TSS: Six new 12- and 20-gauge offerings, including blended loads that combine No. 7 and 9 or 8 and 10 Tungsten Super Shot. With some payloads topping 1,000 pellets, they more than double the shot count of lead No. 5 loads of the same weight. HYDRA-SHOK COMPONENT BULLETS: The proven self-defense bullet design now available as a component for reloading. Superb accuracy and an iconic center-post hollow-point design that provides reliable expansion. Available in eight bullet options from .355 to .451. EDGE TLR COMPONENT BULLETS: 136-grain 277 cal. and 155-grain 284 cal. offerings provide long-range accuracy in a bonded hunting bullet with the Slipstream tip. SYNTECH PCC: 9mm Luger load with a velocity optimized for carbine-length barrels and a profile designed for reliable feeding in carbine platforms. SYNTECH DEFENSE: Hollow-point bullet separates into three segments and a deep-penetrating core on impact. Core penetrates 12 to 18 inches in both bare ballistics gel and through heavy clothing. Available in 9mm Luger, 40 S&W and 45 Auto. SYNTECH TRAINING MATCH: Identical point of impact, velocity and trajectory as equivalent Federal Premium Personal Defense HST loads for extremely realistic and effective practice. Available in 9mm Luger, 40 S&W and 45 Auto. VARMINT & PREDATOR HORNADY V-MAX: V-Max bullet provides explosive performance on impact. 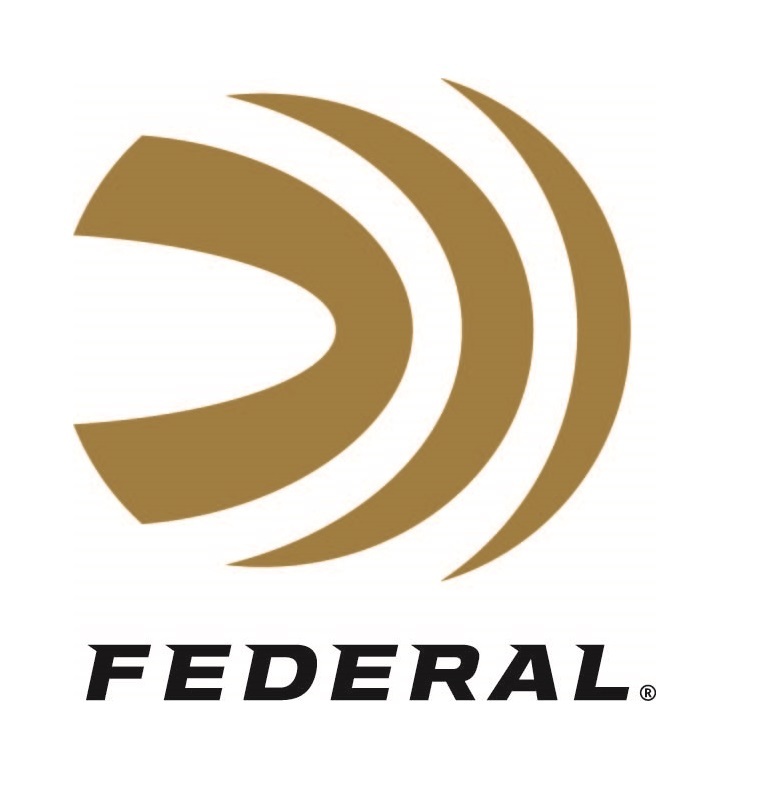 Consistent accuracy thanks to reliable Federal brass, bullet and primer. Available in seven loads from 204 Ruger to 308 Win. 450 BUSHMASTER: Fusion, Power-Shok and Non-Typical 450 Bushmaster loads deliver superior range and accuracy over other straight-wall rifle cartridges and sabot slugs. TOP GUN SPORTING: Designed specifically for sporting clays shooting with high velocities, less felt recoil, hard pellets and consistent patterns. Available in 12 loads, including 12, 20 and 28 gauge, as well as .410. BYOB BUCKETS & BOTTLES: Quality 17 HMR, 22 LR and 22 WMR loads for the range or hunting. Plastic bulk packs stack and store easily, and removeable lids allow easy access and pouring. SHORTY SHOTSHELL: Although just 1 ¾-inch long, Shorty shotshells offer similar patterns, energy and accuracy as full-size counterparts. Now available in 12-gauge 8 shot, 4 buck and rifled slug loads. All these new products, and more, for handgun, rimfre, centerfire, shotshell and reloading will be on display at Booth No. 14551 for customers to view and learn full details.